9:00 am to 5:00 pm 9:00 am to 4:00 pm. Closing date for Entry Forms with Entry Fees and Draft Title Pages to be delivered. Earliest date for exhibits to be delivered by post. Latest date for exhibits to be delivered by post. Entries delivered by hand to be received at the Bin Room. Bunbury 2019 is a National One Frame Exhibition, including an Astro One Frame Challenge. It was the 20th July 1969 when US astronaut Neil Armstrong took that one small step, a step so marvellous that 600 million people in the world tuned to watch. This was one of the most significant events of our time and the start of hundreds of space expeditions for mankind. Back 50 years ago NASA supplied us with amazing images of the moon landing while astronauts Neil Armstrong and Buzz Aldrin gave us some memorable quotes. 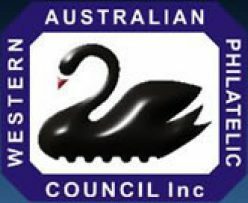 Now you can show Australia your Philatelic or Numismatic memorabilia in a National One Frame Competition. 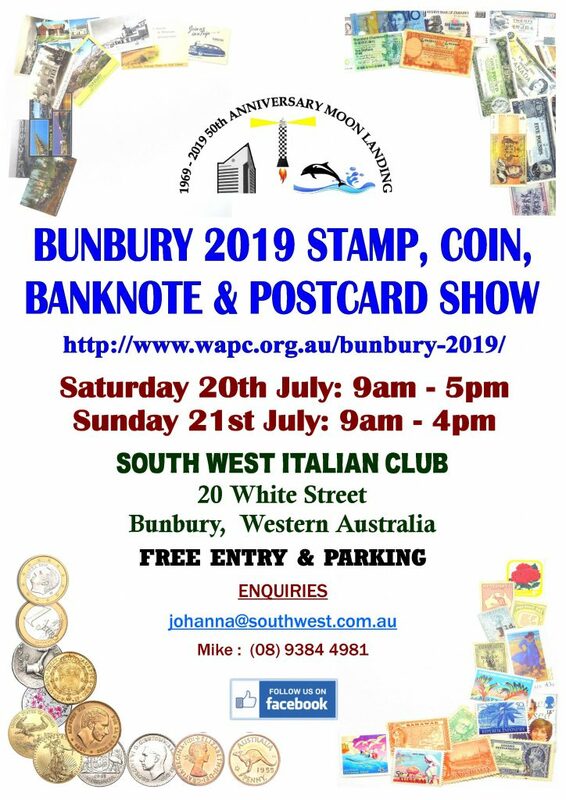 Bunbury 2019 National One Frame Exhibition will celebrate the 50th anniversary of Apollo 11’s journey to the moon and back with a One Frame Astro Philatelic and Numismatic Challenge. Your One Frame Astro exhibit can encompass any philatelic or numismatic material related to space exploration. It might be a study of the scientific and technical progress achieved in the conquest of space, chronologically recording the relevant events within the different programmes. Or it might be about stratospheric research, early rocketry and the precursors to the various types of spacecraft. Your exhibit can be prepared for any of the classes listed in the table above. Why not give it a go? Put together a 15 page one frame exhibit and enter the Bunbury 2019 Astro Challenge (for coin/medallion entries, a one case exhibit).